To round things off we’ll look at three IP summary judgment success stories (one copyright, one designs, and one patent) to see the kind of cases that do fit the bill. Red Bull are the 800 pound gorilla in the energy drink market, and they certainly stay active in protecting their IP, most recently in a General Court outing in FLÜGEL. That was a surprising loss; the General Court found alcoholic drinks and energy drinks not to be similar goods (See Bird & Bird’s coverage here) and dismissed the opposition (RB’s mark was VERLEIHT FLÜGEL…) . Red Bull were seeking strike out of each Defendant’s defence under all the heads of CPR 3.4(2) and also summary judgment under CPR 24. 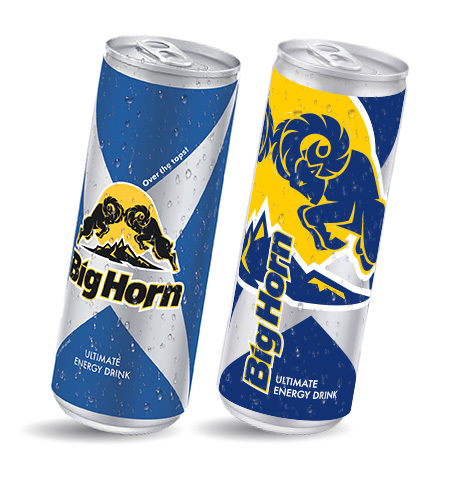 Red Bull’s claim was that the import, advertising and sale of the Big Horn energy drink infringed its rights under Article 9(2)(b) and 9(2)(c) of the EUTMR (no passing off). As Master Clark states in Big Horn, the test for summary judgment (no realistic prospect of success) and strike out under 3.4(2)(a) (no reasonable grounds for defending the claim) will in many cases be very similar. In Big Horn Master Clark in fact states that “there is no practical distinction in the test to be applied” at all, in the circumstances. It’s not suggested that will always be the case in IP law, but looking at the oft-cited principles in Easyair Ltd v Opal Telecom Limited  EWHC 339 (Ch) there are two in particular which may help explain why the two tests converge. vii) On the other hand it is not uncommon for an application under Part 24 to give rise to a short point of law or construction and, if the court is satisfied that it has before it all the evidence necessary for the proper determination of the question and that the parties have had an adequate opportunity to address it in argument, it should grasp the nettle and decide it. … However, it is not enough simply to argue that the case should be allowed to go to trial because something may turn up which would have a bearing on the question of construction: ICI Chemicals & Polymers Ltd v TTE Training Ltd  EWCA Civ 725. What these two points boil down to is: what else will the Court have available at trial? Before going further, it’s worth mentioning the possibility of strike out in relation to deficient pleadings, under CPR 3.4(2)(b) and (c). These are difficult to run in the alternative to CPR 3.4(2)(a). You may end up arguing that the other side’s case isn’t properly pleaded, but that you’d win even if it was. This is the position Red Bull found themselves in. CPR 3.4 is an odd one, in that strike out can apply to a particular pleading or to a claim as a whole. The Judge has a wide discretion as to how to handle the situation. An application for strike out of a deficient pleading may simply result in a Judge allowing more time for a party to amend their pleading to bring it in to compliance (Kim v Park  EWHC 1781 (QB)): not the kind of dramatic result that might be hoped for following a potentially expensive attempt to bring a claim to a speedy conclusion. This is particularly hard to deal with where the other party’s pleading is not up to scratch: the applicant may have to convince the Court that even if amended the pleading wouldn’t disclose reasonable grounds for defending the claim. A slightly risky application to make given the requirement to essentially suggest the other side’s case – but without conceding it gives a “realistic prospect of success” that would allow the respondent to evade summary judgment. (3) in the case of the claim under Art 9(2)(c), that there is no “link” between the marks. These being relevant defences to some or all of the claim brought by Red Bull it is then a high hurdle to convince the Court Big Horn have no realistic prospect of success: this is ultimately where Red Bull’s application failed: Big Horns’ prospect of success was more than fanciful. How many sleeps until trial? A key difference between IP claims and other litigation becomes apparent at this stage: what more does the Court really need to decide the case? In Big Horn Master Clark determined that Red Bull’s case just wasn’t strong enough, but there weren’t any procedural reasons raised as to why the claim couldn’t be dealt with summarily. In Part Two of this article we’ll look at the kinds of procedural issues that can prevent summary assessment in IP litigation. Next Next post: Summary Judgment in IP: Part Two – What’s stopping you?